Before there were parenting blogs, trophies for showing up and peanut allergies, there was a simpler time called the '80s. For geeky 11-year-old Adam (Sean Giambrone), these were his "wonder years," and he faced them armed with a video camera to capture all the crazy. The Goldbergs are a loving family like any other -- just with a lot more yelling. Mom Beverly (Wendi McLendon-Covey) is a classic "smother," an overbearing, overprotective matriarch who rules this brood with 100% authority and zero sense of boundaries. Dad Murray (Jeff Garlin) is gruff, hot-tempered and trying to parent without screaming. Sister Erica (Hayley Orrantia) is 17, hot, terrifying and not one to mess with. Barry (Troy Gentile) is 16, an overly emotional teen with severe middle child syndrome. Adam (Sam Giambrone) is the youngest, a camera-wielding future director who's crushing on an older woman. Rounding out the family is beloved grandfather Al "Pops" Solomon (George Segal), the wild man of the clan, a shameless Don Juan who's schooling Adam in the ways of love. When Pops buys a new sports car and offers his Caddy to middle child Barry, it's enough to drive this already high-strung family to the brink of chaos. Wendi McLendon-Covey (Beverly Goldberg) has never been busier: In addition to her role on ABC's The Goldbergs, she is currently shooting the film Think Like a Man 2. Audiences will also be able to see her this winter in A Friggin' Christmas Miracle, opposite Robin Williams, Joel McHale and Lauren Graham, and next year co-starring in Tyler Perry's Single Mom's Club. She is perhaps best known for her starring roles in Bridesmaids, Reno 911, Lovespring International and the television series Rules of Engagement. Patton Oswalt (adult Adam Goldberg) continues to find success in all areas of entertainment, from his Grammy-nominated comedy special, Finest Hour, to numerous memorable TV guest roles, the upcoming comedy The Secret Life of Walter Mitty, with Ben Stiller, and a starring role on Adult Swim's The Heart, She Holler. Last year Oswalt was recognized for his work on the big screen with a Critics' Choice Award nomination for his performance in Jason Reitman's Young Adult, opposite Charlize Theron. In addition to his guest roles this past year on Justified, Two and a Half Men and Burn Notice, Oswalt has a recurring role on the upcoming season of The Newsroom and also recurred in Caprica. He was a series regular on United States of Tara, and appeared as a guest star on Bored to Death, Flight of the Conchords, and The Sarah Silverman Program. He is also a regular contributor to Countdown with Keith Olbermann, Real Time with Bill Maher and Lewis Black's Root of All Evil. Sean Giambrone (Adam Goldberg) is the 11-year-old version of the show's creator, Adam Goldberg. Giambrone is also a series regular on Cartoon Network's Clarence, a new animated series debuting this fall. He's the voice of Jeff, intellectual sidekick of the main character. Giambrone began his acting career at the age of 9 and starred in various television commercials, including for McDonald's and Friendly's Restaurants. He gained particular attention in the nationwide campaign for Sea World, even making an appearance in a spoof on The Tonight Show, and also appeared as Afro Boy in the film I Heart Shakey. Troy Gentile (Barry Goldberg) got his start in entertainment at the age of 11 when he landed his first acting job, playing the supporting role of Hooper - the bear in the wheelchair - in the remake of Bad News Bears with Billy Bob Thorton. He later went on to play another supporting role as little Jack Black in the film Tenacious D: The Pick of Destiny. His career continued its rise when he was cast in the role of young Dan Fogel in Good Luck Chuck. At the age of 13, Gentile was cast in Drillbit Taylor in his first lead role, opposite Owen Wilson and produced by Judd Apatow. He was also seen in Pineapple Express, Nacho Libre and Hotel for Dogs, with Don Cheadle and Kevin Dillon. In television he has had guest appearances in Entourage, Disney's The Suite Life of Zack and Cody, HawthoRNe and The Late, Late Show with Craig Ferguson. Hayley Orrantia (Erica Goldberg) is a 19 year old actress, singer and songwriter originally from Highland Village, Texas. She was a contestant on Season 1 The X Factor USA. Originally auditioning as a solo artist, she and three other contestants were assembled during the boot camp phase by Simon Cowell into a girl group to continue in the competition. Calling themselves Lakoda Rayne, they were the last group in the competition and made it to the top 9. As a solo artist, Orrantia has recorded songs on the soundtracks for Disney's Tinkerbell and the Lost Treasure, Camp Rock 2 and Hannah Montana Forever. She has opened for several major artists and celebrities, including Hot Chelle Rae, Jack Ingram, JLS, Julianne Hough and Rachel Ray. 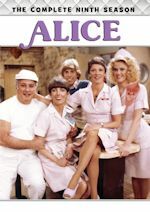 George Segal (Pops Solomon) is a veteran of stage, television and film, Segal has amassed an impressive resume of projects that run the gamut, from the lightest of comedies to the most heart-wrenching of dramas. He first gained critical attention as a distraught newlywed in Ship of Fools and as a P.O.W. in King Rat. He went on to garner an Oscar nomination for his performance as Nick in Who's Afraid of Virginia Woolf. Younger generations of viewers will recognize him from his successful seven-year run in Just Shoot Me!, and more recently from his confident, jaunty turn as Hollywood manager Murray Berenson in the hit show Entourage. Other recent TV appearances include starring on TV Land's sitcom Retired at 35 and guest appearances on Private Practice, Pushing Daisies, Boston Legal and Law & Order: SVU. On the big screen, Segal appeared as Jake Gyllenhaal's father in Love and Other Drugs, as well as in Roland Emmerich's epic adventure, 2012. Jeff Garlin (Murray Goldberg) has talent encompassing writing, producing, directing, acting and performing stand-up comedy. He is best known as Larry David's manager on the critically acclaimed HBO comedy, Curb Your Enthusiasm, for which he is also an executive producer. In 2007 Garlin adapted his solo stage show I Want Someone to Eat Cheese With into an independent film. It premiered at the Tribeca Film Festival to critical acclaim and was a successful independent release for IFC. His second feature as writer, director and star, dealin' with idiots, was released by IFC in July 2013. He's also an executive producer on the forthcoming documentary Finding Vivian Maier. Garlin has extensive feature acting credits, including Disney-Pixar's Academy Award-winning films WALL-E (The Captain) and Toy Story 3 (Buttercup the Unicorn). In 2012 he released a book, Curbing It (Simon & Schuster), in which he shares his eye-opening journey to reduce his waistline and his carbon footprint during the production of the seventh season of HBO's Curb Your Enthusiasm. In the pilot episode for the series, Barry wakes on his birthday expecting to get a car, but is disappointed at the kitchen table when Beverly says that he's not ready for that responsibility and gives him something else that shocks him. Pops complicates matters by giving Barry the car he wants, but Beverly instantly makes her father take the car back. Meanwhile, Adam seeks Pop's advice on his crush at the local diner. Guest starring Troy Winbush as Officer Pochinski and Brec Bassinger as Zoe. "The Circle of Driving" was written by Adam F. Goldberg and directed by Seth Gordon. After watching the pilot, I can't help but think of the well-done sitcom The Wonder Years. 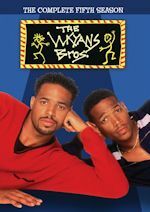 That show was aired in the late 80s/early '90s but was set in the '60s. This show is set in the '80s but it is airing 2013. The time is right for something like this. It's such a great pilot and we are really invested in each family member. The backdrop of the '80s is well done but the key to the show is this family. I was really looking forward to this show and it did not disappoint. Each character shines in this premiere and we have a great set-up for things to come. These days people seem to forget that pilots are just set-up and when reviewing something, you have to also look at what the future will hold. 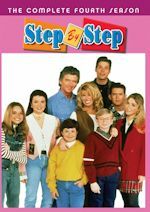 11-year-old Adam is probably the funniest on this show, but the entire family including the father (Murry), mom (Beverly), older brother (Barry), older sister (Erica) and grandpa (Al "Pops") are all funny. Adam's chemistry with "Pops" is so good and Pops' advice for Adam and a crush he has at a diner is hilarious. It's like Kevin and Winnie all over again. I love it! It's just an enjoyable premiere and you know it is something special when you want to watch the pilot over and over again. I've watched it about three times already and I laugh every single time. It may not be as sharply written as Modern Family's pilot, but in a way it reminds of that series. The core of the show is the family and that's what makes Modern Family so special. This show also is using real-life stories from the creator, like Modern Family has done. That makes it more real and funny and I'm sure many of you will relate very well to this. If you were living in the '80s or not. This is a core ABC family-centric comedy and it should work very well for them. Adam video tapes everything in his '80s video camera and you should be recording this show in 2013 on your DVR every week. Well, also watching live, too...because this is appointment television. This is my favorite sitcom pilot of the season. It's watchable, laugh-out-loud funny, and it has a very relatable family. Many are writing this one out for no reason without even watching it. I don't get that at all because this is a hell of a show and it will surprise many. It won't surprise me, because it is fantastic. Why else would it be anchoring an entire night? The last time ABC tried to anchor a night with a new comedy was back in 2009 with Modern Family and we all know how that turned out. To me, it is the best and most enjoyable comedy pilot of the 2013-14 class and it is the most mainstream as well. Yes, Brooklyn Nine-Nine, Enlisted and Trophy Wife have better writing, but this one is the most mainstream that anyone can enjoy. It is familiar, too, and familiar type shows are always well watched. 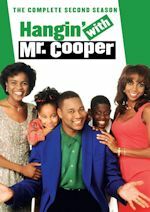 Some shows that are not familiar and mainstream like 30 Rock, Happy Endings, have all struggled to find a mass audience. The series is going to be following the most anticipated new series of the fall, Marvel's Agents of S.H.I.E.L.D. so it will have an ample audience for its premiere. I'm predicting right now it will have one of the best comedy premieres of the season in adults 18-49, if not the best (watch out Robin Williams and Michael J. Fox). And whoever watches it will love it. It probably won't be getting the critical praise of Modern Family, but to me, it has the relatable and funny family aspect down pact. If you're looking for some fun, then you're going to be watching the right show. It's great family entertainment following a great entertaining new show that will be watched by all ages. New Girl, get ready to step aside, because you have a new comedy competition to beat you. 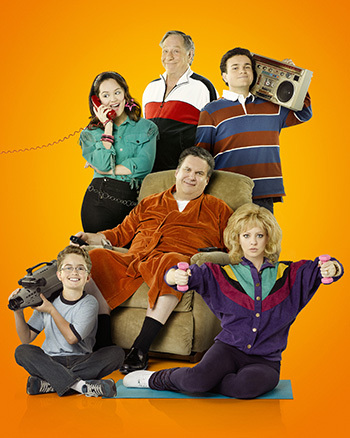 The Goldbergs is pure fun and the best new comedy of the fall! Discuss the show after you watch it on Tuesday, September 24, 2013 at 9:00PM ET/PT on our message board. The 65th Annual Primetime Emmy Awards aired last night on CBS. Here are the winners! WINNER: Modern Family (ABC). Racked up a fourth straight win! This was a sure bet. WINNER: Jim Parsons, The Big Bang Theory (CBS). After not winning last year, Parsons comes back and wins it this year. WINNER: Julia Louis-Dreyfus, Veep (HBO). For the second straight year. From this list, I would have guessed her, too. WINNER: Tony Hale, (Veep) (HBO). I would have thought someone from Modern Family would have won. Ed O'Neill was very deserving this season. WINNER: Merritt Wever, Nurse Jackie (Showtime). Probably the biggest upset and "huh?" of the night. Bowen or Vergara should have won. WINNER: Breaking Bad (AMC). Last year it was Homeland, but now Breaking Bad takes it. WINNER: Jeff Daniels The Newsroom (HBO). A first time winner! WINNER: Claire Danes, Homeland (Showtime). She takes it for the second straight time. We wanted Kerry Washington to win so badly. WINNER: Bobby Cannavale, Boardwalk Empire (HBO). We thought Aaron Paul would win again. WINNER: Anna Gunn, Breaking Bad (AMC). I thought Maggie Smith would win.